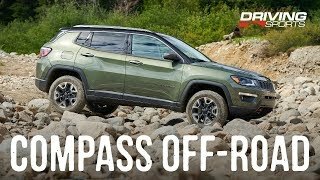 If you are thinking about buying a Mid-Sized crossover SUV, the Jeep Cherokee makes a lot of sense especially is you are going off-road. 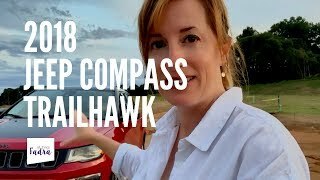 The Traihawk is immensely capable in the dirt. 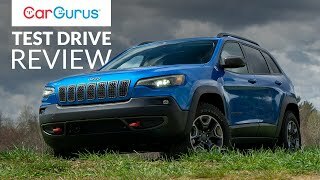 Jeep has made several changes to the 2019 Cherokee for this mid-cycle refresh. Prices range from $24,545 for the base Latitude FWD trim up to $37,995 for the Overland 4x4. 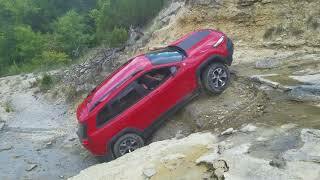 The model seen here is the Trailhawk 4x4 which starts at $33,695. 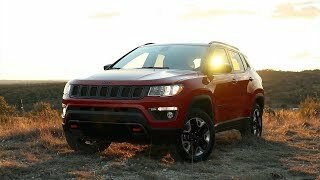 The updated front styling is more in-line with the rest of the Jeep line-up like the Compass and Grand Cherokee. Under the hood is the $500 optional turbocharged 2.0 liter 4-cylinder engine that makes 270 horsepower and 295 lb-ft. of torque. This engine is faster and more fuel efficient than the 3.2 liter V-6. The transmission is a 9-speed automatic. 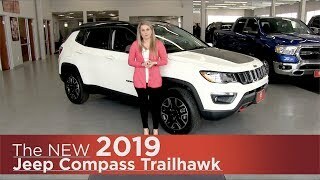 The Trailhawk has a number of key distinguishing characteristics that make this one of the few crossovers on the market that can truly go off-road. The redesigned front and rear bumpers allow for improved approach and departure angles. This model also has an off-road tuned suspension and a raised ride height giving you 8.7 inches of ground clearance. 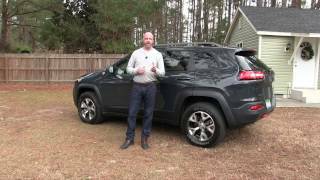 You also get Jeep’s Active Drive Lock AWD system that includes a rear locking differential and low range gearing. Love my 17 Trailhawk. The bumper with low license plate gives a nice step for my dog ! Available with manual transmission ? 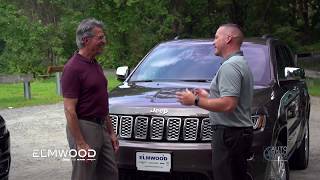 Back in the 80's I asked a Jeep salesman about an automatic transmission. He laughed in my face and said "A Jeep with automatic transmission is not a Jeep." You have bad taste in front end aesthetics. Update: I watched the next 60 seconds. You have overall bad taste in auto aesthetics, not limited to front ends. 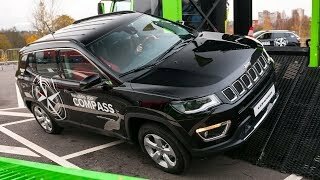 Love the look of the Trailhawk but never going to use offroad. 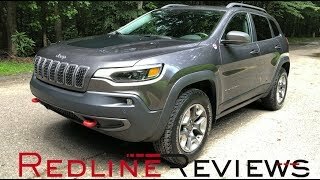 Can't wait until my 17 Hawk is paid off.. 2019 Trailhawk in Firecracker red is next. From Pavement to using Rock Mode My Jeep has brought a smile to my face. I picked up my 19 Wrangler Sahara Majito Green a month ago. I LOVE it. I had a Kia Sorento and my wife a Mazda CX-5. 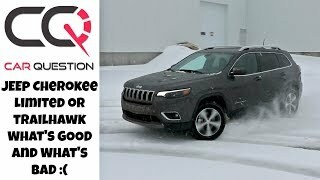 On Saturday we're picking up her new 19 Cherokee Limited with Technology package. 2 Jeeps.. I would NEVER have thought. Always Japanese or Korean. Screw practical, I wanted a top of the line Wrangler and my wife a Cherokee. Like so many people say, you only live once. So we think. how does this drive in the snow? 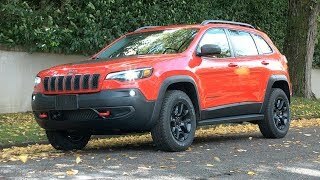 I have a '16 Trailhawk. 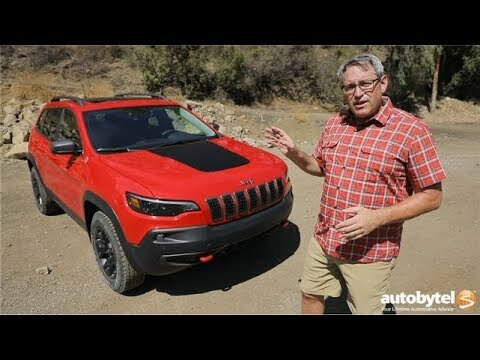 If I could only own one car in the world, it's the Trailhawk - warts an' all. I am a hunter. I don't look for offroad. Most of the time, I am on pavement. But here is a car that can handle offroad when I run into it, and behave nicely when I'm driving around like everybody else. They turned the front and rear end into a minivan. What were they thinking? I like the new rear end much more than prev gen. BTW I owned a '14 TH...sold it bc the 9-speed was literally the worst A/T I ever experienced, along with having a steering wheel that was set like a school-bus with little adjustability. seriously. I like the old 2018 exterior also. What Jeep has managed to do with a car chassis is pretty damned impressive. I hate the white tail lights. It would be better if it had a higher ride height. You lost me at AWD. Then kept talking as if AWD and 4x4 is the same thing. 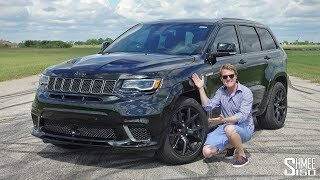 I had one... a 14 and the best part about it was the Locker and it's aggressive AWD... it impressed me and I'm generslly a wrangler guy. 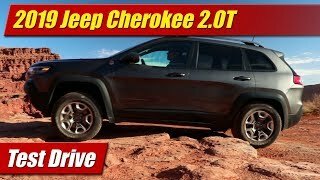 All the changes to the 2019 Cherokee are definite improvements even the cosmetic design changes. 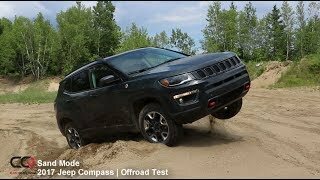 And if indeed Jeep has worked out all the bugs with the nine speed transmission, then this is a definite contender. But I won’t buy one till I’m fairly sure of that. Nice summary about the car, though the front and rear changes you criticised were highlights that prompted me to buy a 2019. 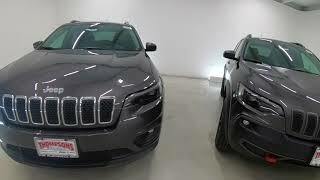 Sold my 2016 Cherokee Trailhawk to buy a 2019 back in March, something I thought I'd never do in my life, sell a car after only a couple years. "You only live once," was my rationalization. 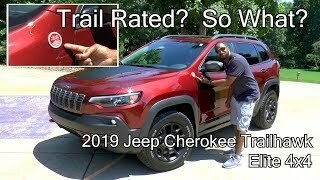 Anyway, very pleased with my stock 2019 Cherokee Trailhawk Elite, no regrets. 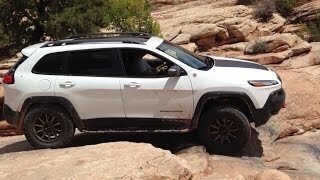 Handles great on unpaved roads in nearby national forests and amazing on sketchy unpaved roads around Death Valley NP, dry or muddy. Plus very comfortable rides on highways and freeways getting to those destinations. Would like a manual transmission. Back in the 80's I went to a Jeep dealership and mentioned something about automatic transmissions. The salesman laughed in my face and said " A Jeep with automatic transmission is not a Jeep." That was then, this is now. Don't live in the past. Things changes, situation changes. very stupid to use a Manual off road... always has been.. 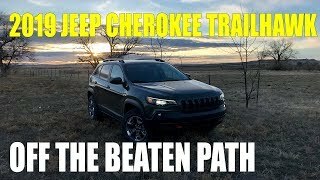 I wont buy till they bring back the proven Steam Engine..
Ive had a 2014 Cherokee Trailhawk for 4+ years and absolutely LOVE the vehicle on and off road. I'm about to order the 2019 version with a turbo. Thanks for the review. +MrCotto01 I got it 3 days ago, love it! The perfect vehicle for where I live. 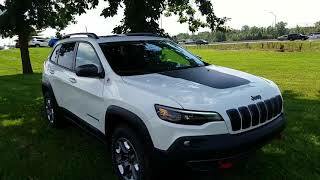 Love my ’19 Overland... Pull the trigger. Mind me asking. Any mechanical issues or problems ???? I've heard and read quite a bit about issues especially with the 9speed ZF transmission. Did he just say it's well worth $45,000 fully equipped?